It would be very difficult to believe if someone would have told you a decade ago that there would be a technique to manage your home’s environment, such as what lights were switched on or off, which doors were locked and your garage door is in which position, from anywhere. Many thanks to technological advancements and the invention of modern gadgets like Smartphone, we are already in the future. Indeed, you can operate and control your garage door from any location around the world in real time. Well, to know how it works, continue reading and explore the electrifying, technologically savvy, secure, and handy route in which the garage door industry is advancing. Garage door systems that are automated contain three major components. To track the movements of the garage door – (1) control module and (2) position sensor are attached to the garage door. And the 3rd part is an app, which is installed on your Smartphone – this is where the door’s movement data immediately flashes. The automated systems App act as the connection between you and your garage door. Provided your Smartphone has the Internet connection, you can connect and transfer the door’s movement data, control the functions of your garage door from your end, as well as accessing live report is a breeze. When you ponder over it, your modern garage door without automation is still quite technologically advanced – because when you push the open or close button on the remote within a particular distance, the door instantly opens or closes or pauses and reverses the direction. Now, intelligent garage door openers transfer this same remote power to your Smartphone and depend on your Smartphone’s Internet, to connect with your garage door irrespective of long distances. Once the garage door is linked up with the App, the door will sense your Smartphone, so it will be smooth sailing into your driveway without the garage remote as long as you have your Smartphone and Internet connectivity. You can set open and close time and schedule for weekdays, weekends or specific days of the week. Get notifications in real-time of when the door opens or stays open after a specific time. You can see a dashboard of garage door activity that was performed previously. You can share access with other users. 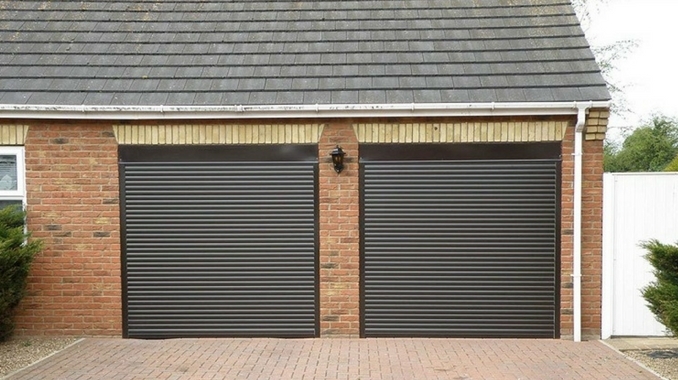 Being able to operate and control your garage door from anywhere is indeed a technological wonder of the modern day, which not only continues to surprise us but also our customers. Automatic Garage Solutions renders homeowners with the most sophisticated, high-quality products in the industry and are glad to offer you with a range of technologically advanced automatic garage door openers in Sydney. If you want to get more information about automatic garage door openers for your home or business property in Sydney, then immediately get in touch with Automatic Garage Solutions today and schedule a free garage door consultation.